Is Clowney’s career in jeopardy? The timeline for Jadeveon Clowney’s impactful NFL career could unfortunately be a very short one. While the news Tuesday, that the 21-year old, number one overall draft pick has undergone microfracture surgery on his ailing knee, doesn’t mean his career is over, the thought of him being a hell-raising, once-in-a-lifetime, defensive game-changing monster seems a long, long way away now. Also, no longer the near-certainty it seemed to be when they used that top pick on him in May. Is Clowney’s career in jeopardy? Reality is yes. At least the career they were hoping for is absolutely in jeopardy. Texans LB Jadeveon Clowney underwent microfracture knee surgery on Monday and is expected to be sidelined nine months, per sources. ESPN’s Adam Schefter initially reported the surgery and suggested he would be out for nine months, which would put his availability in question for the start of next season – essentially his first. But that is merely addressing Clowney’s availability, not his ability. He has practiced sparingly, has had a myriad of other injuries and ailments that kept him off the field and now he won’t be on the field with the team during months and months of offseason training activities and mini-camps in 2015. Subsequent tweets from the Houston Chronicle’s John McClain and Mark Berman of Fox 26, offered the views of Texans general manager Rick Smith. Now this brings up the issue about how everything was handled with Clowney. Clowney limped off the field late in the first half of the first game of the season against Washington. He had landed awkwardly on the NRG stadium and immediately reached for his right knee. He limped to the sidelines and began talking to the trainers. He tried to walk it off as the Texans blocked a punt and returned it for a touchdown. With the Redskins getting the ball back following the ensuing kickoff, Clowney returned for two more plays of rushing the passer. After the second of those two snaps, he limped off again and shortly thereafter was walking with Texans team doctor, Dr. Walter Lowe to the locker room. He played 23 snaps in his NFL debut. Following the game it was disclosed that he his injury would require surgery and he had surgery the following morning to repair a meniscus tear. His recovery time was expected to be 4-6 weeks. Clowney missed the next six games following surgery, but began to practice on a limited basis as he closed in on being six weeks removed from the surgery. He played for the first time following the surgery, seven weeks after the initial injury when he took 32 snaps on defense against Tennessee. He was clearly not moving as well as he did before the surgery. Throughout the time leading to his return, Clowney had maintained that he still didn’t feel 100 percent, but wanted to help the team however he could. He had worked out the night of the Pittsburgh Monday night game before kickoff the week prior to his return, but remained inactive for that game. After his return, he again acknowledged that he did not feel fully recovered and his knee was very sore. He would sit out the next week’s game on Nov. 2 against Philadelphia and would have an additional week of rest with the team’s off week that followed. He then returned to the lineup again for the next two games against Cleveland on Nov. 16 and Cincinnati on Nov. 23. He played 39 snaps against Cleveland and then 49 snaps against Cincinnati. Those 49 snaps against the Bengals were 60 percent of the team’s defensive snaps. He played 60 percent of the plays and following the game had his knee propped up on a chair in the locker room with ice on it. And again was clearly walking around uncomfortably. The following week on Wednesday, Dec. 3, O’Brien announced that Clowney was visiting Dr. James Andrews in Pensacola, FL, to gather more information. 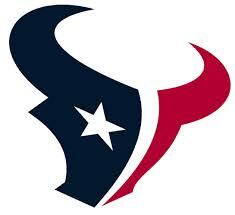 Andrews diagnosis matched that of the Texans medical staff and as mentioned above, Clowney had microfracture surgery on the troublesome knee, performed by Dr. Lowe. Seeing what was conveyed by Smith about the team knowing microfracture surgery was a possibility all along, but wanted to see if the knee would respond after surgery sure seems troubling. Nothing that was seen on the field or in practice (I presume) suggested that the knee was responding well. He was practicing intermittently and playing sporadically. He didn’t look a whole lot different than he did for the two plays that immediately followed the injury on the opening Sunday. He was playing in pain. Just as he said. There is full acknowledgement from Smith that the original injury included articular cartilage damage. While no one has said Clowney did additional damage to his knee or made his situation worse, it sure seems like an unpleasant ordeal and a ton of pain that could have been avoided. Though, again, not necessarily an unreasonable course of action for the team and Clowney to take with the original surgery and hope that followed. Dr. Dave Siebert, M.D. is the national medical writer for Bleacher Report and he tweeted out some of his thoughts on Clowney’s surgery and future. Re: Jadeveon Clowney. Microfracture = stimulate cartilage healing, delay arthritis. Can work, but not good problem to have as a rookie. Oof. Microfracture surgery =c reate small "cracks" in/around area(s) of damaged cartilage to allow body's healing cells to better reach area. By creating cracks down through damaged areas, get to deeper bone areas with better blood flow. Re: Jadeveon Clowney microfracture surgery. After @clownejd microfracture fracture surgery, no weight bearing on knee. Like need to stay off lawn when growing grass from seeds. Dr. Chao also noted that microfracture surgery has ended the careers for many professional athletes. Though it should also be noted, there are players who have had microfracture surgery and returned successfully to the NFL, like Reggie Bush, Marques Colston and recently, tight end Travis Kelce of the Kansas City Chiefs. Kelce had the surgery in October of last season, his rookie year, and has come back this season to lead the Chiefs in receiving with 51 receptions, which ranks fourth among AFC tight ends. A reminder that neither doctor above has access to Clowney’s medical records and they do not have the specific information related to Clowney’s condition. There’s no question the perception of microfracture surgery is considered much scarier than even surgeries to repair torn ACL’s or really any other injuries and subsequent surgeries that are all too common in the NFL and professional sports. Again, the Texans plan to have the initial meniscus surgery and hope for the best may have had merit and simply just not panned out. The bottom line remains. The brilliant, franchise-altering career the Texans hoped to be getting from their number one overall draft pick seems unlikely to be fulfilled. And yes, the reality is Clowney’s career, just simply having an NFL career, is in jeopardy. That’s how series microfracture surgery is. And one more thing to add, since Clowney, as a number one pick, has been scrutinized more than most. That is fine, since it comes with the territory. But in the age we’re in now with twitter run amuck, questions of his desire and toughness arose. These are the facts. Clowney injured his knee in the first game of the season. A knee that was operated on the next day. He came back seven weeks later and played on the same, still injured knee in three more games. On a knee that all along, despite his initial surgery and rehabilitation, needed microfracture surgery. On a knee the team already knew might ultimately need microfracture surgery to even hope to give him a chance to get right. He returned to the field after the initial injury after sitting out one play following a change of possession. He played two more plays in that Washington game on that knee. The knee that now needs nine months of rehabilitation and recovery time. Seems like that might be a tough thing to do.